If you live in a newer home, odds are that you don’t often think much about sewer cleaning or maintenance of your drains. Most people in our country, however, live in older homes that are more susceptible to sewer clogs, blockages and breaks, and will eventually need professional help in repairing them at some point. 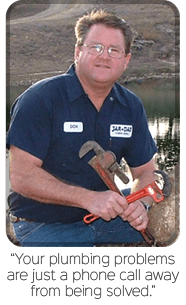 Sewer cleaning in The Colony, unlike the task of removing clogs from smaller drains, is a project that you usually need to call a professional for help with. While a simple drain snake auger or plunger is often enough to unclog a sink, toilet or bathtub, the main sewer line in your home needs more heavy duty equipment. The main culprit in most clogged sewer drains is grease that builds up on the pipes due to years of accumulation. This grease buildup is best removed with a high-pressure water jetting system of the type that any professional sewer cleaning company poses. While high-pressure water jetting is a bit more expensive than a simple plumbing repair, it is the best way to remove clogs from your home sewer and get your pipes running like new again. If done correctly, you shouldn’t need to clean your sewer drain again for several years. Keep in mind, however, that you continue to do damage to your drains in The Colony whenever you put food down your sink drain. Even if you have a garbage disposal, food products lead to accumulated grease buildup on your drains, and you should avoid putting them down the sink if at all possible. Most importantly, however, you should never dump liquid grease down the drain from a frying pan or fryer. If you are looking for a sewer cleaning service in The Colony and North Texas, then please call 972-625-0083 or complete our online request form.